Several of us have written about the status of Michelle Obama’s law license. It is very confusing, and I can’t say that I have it figured out completely, but I did discover some very interesting things, and I believe Michelle Robinson Obama voluntarily surrendered her license rather than go through some type of disciplinary action. This post is a recap of the information, and hopefully, much simpler to read and understand than the previous two articles. See an UPDATE 8-22-12 below. The record keeper in Illinois for attorney registration, fees and oversight is the Attorney Registration and Disciplinary Commission (ARDC) of the Supreme Court of Illinois. Some say the only way Michelle could choose to go inactive was to use a “disciplinary” form. Think about that for a minute. Do you really think a group of attorneys would put their name on a “disciplinary” form, when they have not been disciplined? Do you really think a proper form would not be available? ARDC is governed by a set of rules. Michelle Obama became inactive through Rule 771. April 1, 2004, approximately 11 years after the First Lady went inactive in 1993, and the same year Barack Obama was elected to the U.S. Senate, some “reorganizing” of the rules happened. Rule 771 became Rule 770 which did not exist before April 1, 2004. It appears that the Finality of Orders and Effective Date of Discipline was separated from Types of Discipline. Rule 756 became effective February 1, 1973. This rule is titled Registration and Fees. Rule 756 is the vehicle for becoming voluntarily inactive, for whatever reason you want to do so, unless you have reason to be considered under Rule 753 – review and hearings. Note that if you were “voluntarily inactive” pursuant to former Rule 770 see Rule 756(7), you must make a “petition for restoration” under Rule 759, and your petition must be reviewed by the Administrator – I assume because Rule 770 covers only disbarment, suspension, censure, reprimand. The Administrator decides to consent to the application or refer it to the Hearing Board. If go inactive under 771 770, you cannot become active again without hierarchal consideration. That is not the case for normal restoration procedure. Rule 759 pertains to those attorneys inactive due to “disability” or “hearing and review” (Rule 753). Rule 759 says that if an attorney is restored to active status under Rule 759, which is not the normal route to restoration, any “disciplinary proceedings pending against the attorney may be resumed. Rule 753 “hearing and review” appears to be the first step before disciplinary action. Lynn Stuter, another writer, did some great work on Michelle’s legal standing. The ARDC sent records at her request. They sent Rule 770, which did not exist in 1993. The page said that 770 was “Reserved” – and – it had no text attached to it. Both 771 and 770 dealt with professional responsibility and professional conduct. Neither dealt with voluntarily going inactive, simply because an attorney chooses to do so. That would be under Rule 756. I’m not an attorney. I cannot make a conclusive statement about this, but I can consider what I and others have found, and make an educated guess. My guess is that Michelle Robinson Obama gave up her license rather than go through some type of investigative review which might become public. And if this is not the case, then what? Why not Rule 756? See the ARDC disciplinary form for Michelle at Pamela Geller’s Atlas Shrugs. UPDATE 8-22-21: You’ll remember the dust-up over these law license. I still find readers coming to this post every day. I recently found this information (from 2009) at Alamo City Pundit, who says he is an attorney as well and talks about having and giving up a law license. “Voluntarily retired” — what does that mean? Bill Clinton hung onto his law license until he was convicted of making a false statement in the Lewinsky case and had to “Voluntarily Surrender” his license too. This is the former editor of the Harvard Law Review who doesn’t seem to give a crap about his law license. Something else odd; while the Search feature brings up the names, any seaches for the Disciplinary actions ends quicky. As in, Too Quickly. Less than a half-second quickly on a Search Engine that can take five seconds to Search for anything. As in, “there’s a block on that information” kind of thing. So we have the first Lawyer President and First Lady — who don’t actually have licenses to practice law. 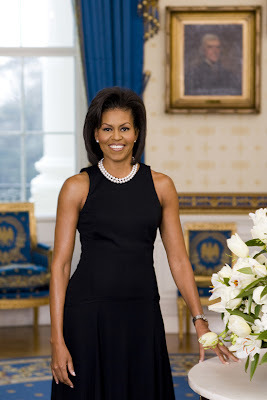 Michelle Obama Disciplined – or Not? This may be of interest as it relates to a time when Barry worked at Michelle’s law firm. The info is later during the discussion.